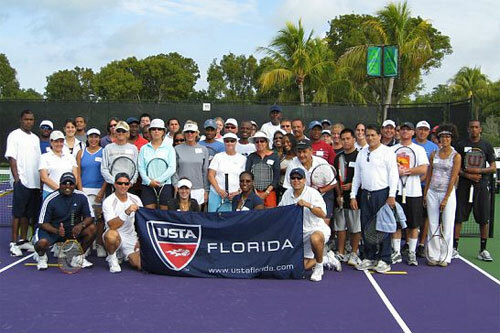 On Saturday, February 9, USTA Florida hosted a Recreational Coaches Workshop (RCW) at Crandon Park Tennis Center in Miami, home of the 2008 Sony Ericsson Open. 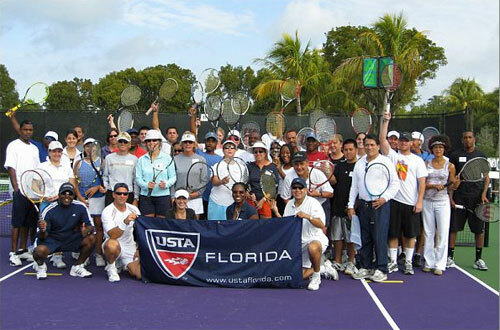 USTA National Trainer, Susan Allshouse, led 60 tennis enthusiasts from Miami-Dade Park and Recreation, PE teachers, staff from after-school tennis programs and parents from local USTA Jr. 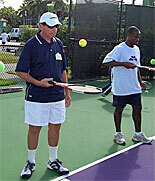 Team Tennis programs in the six hour interactive, on-court training program. 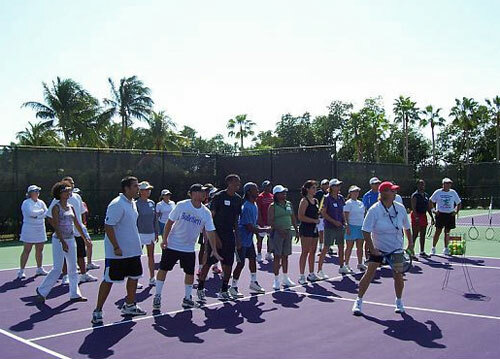 Cathy Nordlund, USTA Florida South Region 8 Community Coordinator, organized the RCW which helped teachers, coaches, and those interested in learning how to become a recreational coach acquire the proper tennis instruction, such as teaching large groups and running effective practices. Unique to this particular RCW was the inclusion of QuickStart training, a new format to help kids ten and under learn and play the game. Players also got a glimpse into the upcoming Sony Ericsson Open in March, which added to the day’s activities. 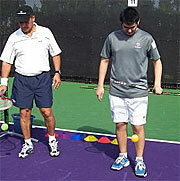 All workshop attendees received a Certification of Completion, training on the QuickStart Tennis format, eligibility for membership as a PTR Recreational Coach and a USPTA Developmental Coach, useful teaching manuals, a low compression and foam ball, a CD-Rom and access to additional coaching resources. The Miami RCW was the first step in providing workshop participants with exciting new ways to introduce the sport, and keep kids and adults playing the game for years to come! Participants show their lighter side! 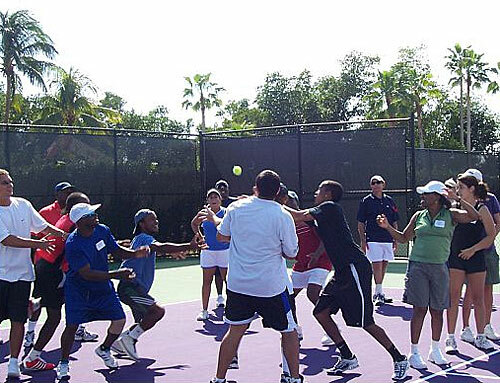 Participants gear up for "tennis baseball"
We hear it works on the hand-eye coordination!